A couple miles south of Mammoth Hot Springs is a pass that is absolutely gorgeous. Along this pass is wonderful fall color covered in snow and a large section of granite rocks. I went by these rocks on my way to Norris, i couldn’t decide if i wanted to stop or not. On the way back i thought it would be best to stop. 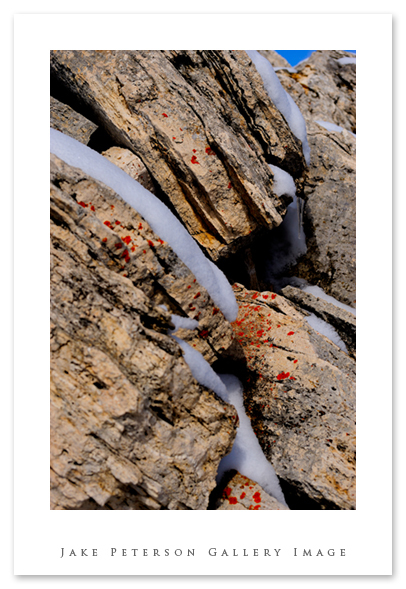 The granite rocks were covered with a light blanket of snow which was originally what caught my eye. 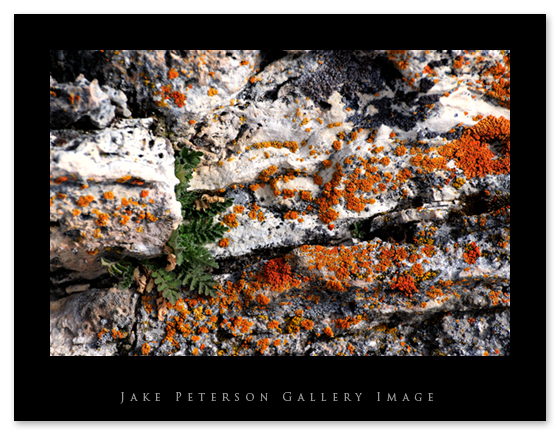 As i ventured deeper into the rocks i discovered little pockets of lichens and coloration’s that were too cool to pass up. These kind of shots i consider to be my Artsy-Fartsy shots. They don’t really have a purpose except to look pretty. 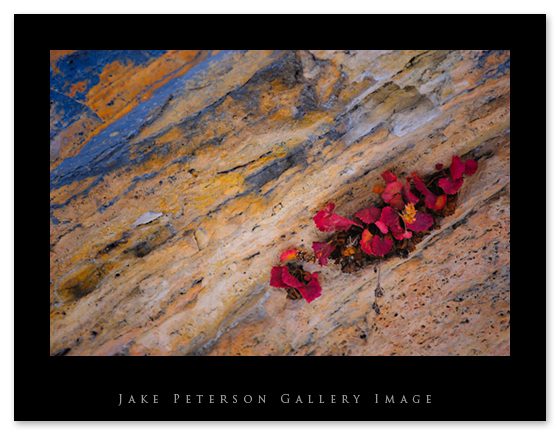 They are also images that i have obviously screwed with, purposely trying to bring out the color and patterns in the rock. It’s just fun for me to every now and then screw with these elements. Just one of those things to play with when you’re out getting skunked by the critters. This is the snow i was talking about. It makes small, light shelves over the rocks. Simple patterns emerge from these pockets of water. Funny thing was, i originally took quite a few images of the rocks covered in snow in the idea that they would be good black & whites. However, upon returning to the computer and some more playing around, i discovered they all looked awful that way. So i stuck with color, what do you know.